In her update she discusses the “Wood” temperament of horse and the different types and how the differences vastly change approaches in care and health. Enjoy! When a person thinks about the Wood horse temperament what often comes to mind is a racehorse. The Wood horse temperament is powerful, athletic, smart and headstrong. These are great characteristics for a racehorse but not so good if you want a horse of your own to compete and have fun with. Yet, there are people out there competing and winning on Wood horses and having a blast with them. So what gives? The secret is they are buying a whole different type of Wood horse than the classic race horse Wood. It has taken me a few years to understand that there are 2 types of Wood horse temperament, the classic racehorse and the less intense, show horse Wood. The racehorse Wood is typically a thoroughbred or appendix type quarter horse while your show horse is your ranch bred quarter horse or warmblood. Of course, any breed can be either type Wood but these are simply examples. The racehorse Wood temperament is all about power and speed. He is not intimidated or easily shifted off his opinions. The racehorse Wood wants to win at all costs. This Wood type has been bred for competing and winning for so long that it is in his makeup. It is as much an instinct to him as eating or drinking. Running is what he loves to do. The racehorse type Wood can withstand the rigors of race training because he is happy doing that job, but put him in a show barn and he can develop many health challenges and vices. Ulcers, cribbing or stall weaving are just a few examples of what happens with a racehorse Wood that is not coping. To keep the racehorse Wood healthy and happy, you’d better have a training program that includes plenty of physical exercise. Pasture turnout and other Wood horse buddies can help as well. Be firm, but avoid confrontation. Instead work to redirect any excess exuberance into constructive exercises. If you take the racehorse Wood and dial him back about 50% you get the show horse Wood. Show horse breeders have recognized the challenge of dealing with a racehorse Wood, so they have crossed him with ranch type quarter horses or drafts to bring down the intense energy. The show horse Wood is still a great competitor, but he does not have the same intense desire to run. As a matter of fact, the show horse Wood can border on lazy if he is not enjoying his work. The show horse Wood can even balk or buck if he does not want to do something. The show horse Wood does enjoy competing. He likes to win and thrives on a training program that focuses on improving his skills and strength. He does not seem to mind working when he sees a reason for it. The show horse Wood does not tolerate being drilled on exercises that are not directly related to his job. For example, if you want to work on transitions of lead changes, do this between small jumps or barrels set up in a pattern. Get out of the ring anytime you can and work in open fields or on the trail. Take your English Wood show horse to work cows or your cow horse to jump jumps. The show type Wood horse temperament does not have as many health and stall vices when stressed, but they sure will get unruly. Expect to find buckets and tubs destroyed when the show type Wood horse gets bored. Pawing and kicking are signs of a show Wood horse with too much feed and not enough work. If your show horse type Wood has to live in a stall make sure he is tired when he is in it. He may not be going out for regular gallops like the race horse Wood but you can sure take him to the round pen or for a long ride on off training days. So if you are looking to buy a Wood horse temperament of any breed, think carefully about what you are wanting and able to handle. So many times a person is thrilled by watching a racehorse type Wood perform but has the job and skill level for a show horse type Wood. This is why one person can have a Wood show horse that they love and win consistently with while another has a Wood horse temperament that borders on dangerous if not handled expertly. It is not the Wood horse that is the problem, but rather the type of Wood horse that is not a match for the expectations of the person. Whichever kind of Wood Temperament you have, what you feed and how you handle them can affect their health and behavior. 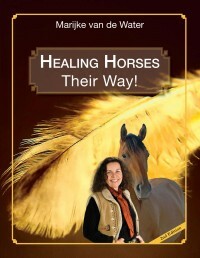 Another great piece from Madalyn Ward – a fantastic resource for holistic horsekeeping. In her latest piece, she details how she evaluated a horse (Dani) and considered different aspects of the horse in both diagnosis and treatment. It may not always be a case of supplements and water…but environmental changes as well! Great work Madalyn. Dani is a Warmblood mare who is a new addition to a jumping horse program. She is a gentle and willing Fire horse temperament but not quite strong enough yet for jumping. Her trainer is working with her to help her get more balanced, but Dani is weak in her hind end and not able to hold a canter. Her trainer would like for Dani to be less quick in her gaits and shift her weight to her hindquarters, but if she takes hold of her head at all then Dani rushes more. I first saw Dani on May 9th 2013 and it was obvious she was sensitive. On exam I noted several osteopathic issues in her hind end and head. Dani was tight in her poll and jaw. After her adjustment she seemed more relaxed. I saw Dani again on July 23. Her trainer reported she was working well, but still seemed weak in her hindquarters. On exam the issues in her hind end seemed better, but Dani was still tight in her poll and jaw. She also had some congestion over her left kidney. It turns out that Dani is not a good water drinker at all and her trainer worries about her becoming dehydrated in the summer heat. I did a network chiropractic treatment on Dani and found her to be stuck in a phase 2 pattern. This pattern suggests an emotional concern about the future. I got the feeling from Dani that she was not sure she was going to make it in the training program. As a Fire horse temperament, she was very concerned about pleasing her trainer, but her muscle development was not adequate to carry weight on her hindquarters the way her trainer wanted. Fire horses may not be as strong as other temperaments so it takes much longer to develop their ability to work in self carriage. The other sense I got from Dani was that she was lonely. Fire horses love personal attention and grooming. Dani’s stall was at the far end of the barn and she rarely got attention other than for her training sessions. In addition to my chiropractic work I decided to try some acupressure points to help balance Dani so she would be stronger in her hind end and feel better about life in general. I choose HT 7 as a point to calm the mind and relieve anxiety and worrying under stressful conditions. KI 3 was used to strengthen the bones and lower back. SP 6 was used to calm the mind and nourish the blood. I also choose SP 6 in case Dani had any underlying dampness issues that might be causing her to not want to drink water. ST 36 was chosen as a general strengthening point and as a local point for possible stifle pain. CV 6 was used to tonify the kidneys and GV 4 was used to straighten the lower back. Dani’s trainer was very willing to make some management changes. She moved Dani to a stall that is closer to all the activity to make sure she gets some personal attention other than training sessions. Since the move, Dani has been more relaxed. She is still quick in some of her movement under saddle but getting more steady every day. Dani is also now drinking twice as much as she was before treatment.